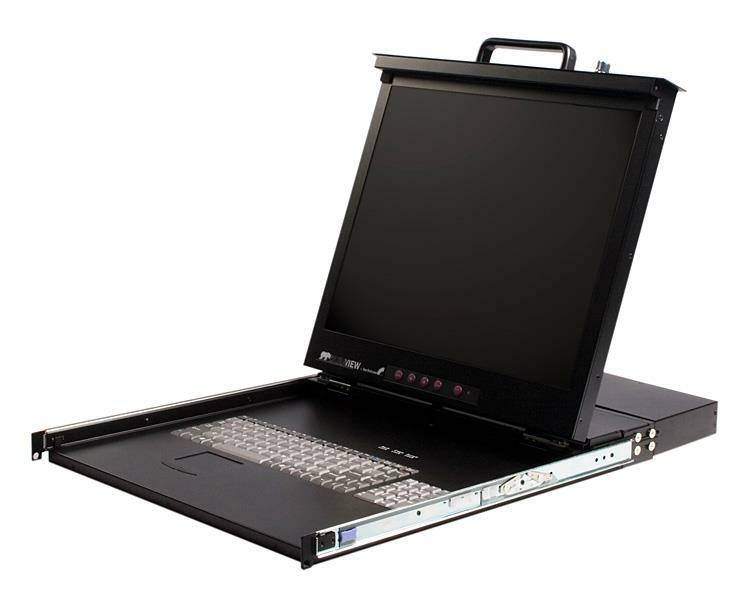 The RKCONS1908GB 1U 19-inch Rack Mount LCD Console provides centralized control for servers and KVM switches with an integrated 8-port KVM switch, a 19-inch LCD monitor, full 106-key keyboard and touchpad, neatly combined into 1U of rack space for any standard rack or cabinet 30-inches (or greater) in depth. A secure solution, the rack-mount console includes a key-lock mechanism, as well as individual port password protection for preventing unauthorized access. 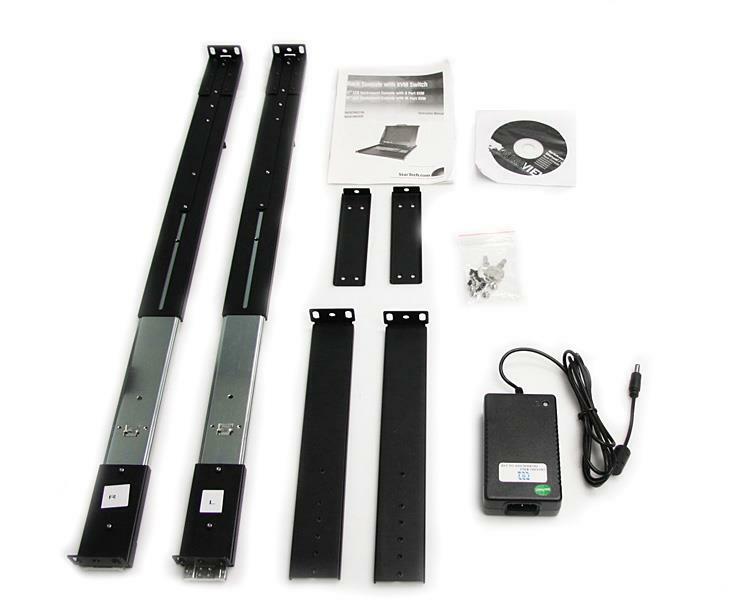 When not in use, it's as simple as folding the LCD display and sliding it back into the rack on the sturdy mounting rails (included). 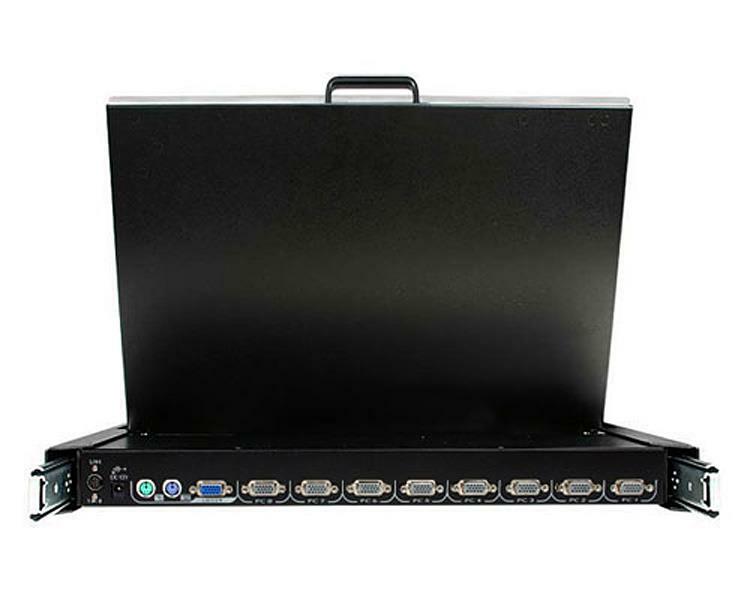 A highly-scalable server control solution, the rack console can control up to 64 computers by cascading 8 additional 8-port KVM switches. 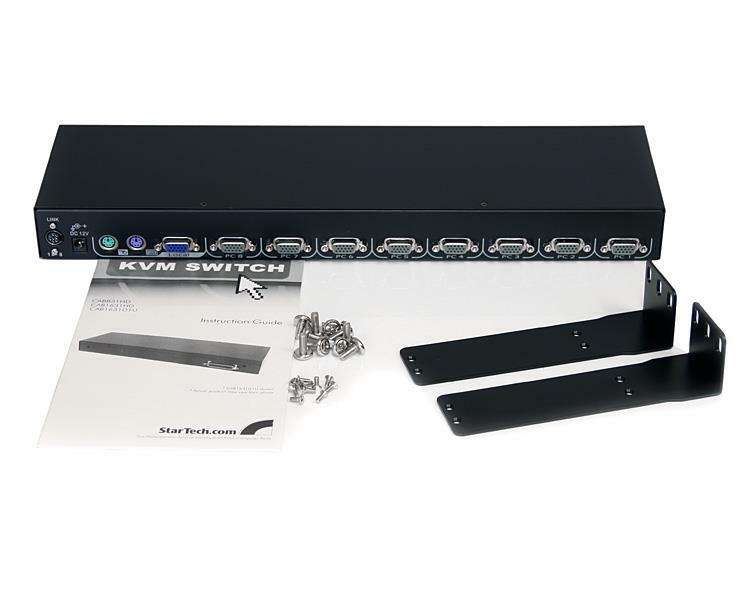 For added versatility, the console is compatible with virtually any existing KVM switch as well as with most PC, Mac® and Sun systems.